Here is the 2016 BBC documentary entitled, Land of Hope and Glory: British Country Life. For almost 120 years, Country Life magazine has been aspiring to capture the elusive soul of the British countryside, from muddy fields to stately homes. Jane Treays spent a year filming with the magazine, exploring the lives of those who have been bred into the land, inherited it or have simply bought into its dreams. From a “girl in pearls” shoot in Yorkshire to a historic mansion in Dorset, via Lindisfarne Castle and a family farm in Somerset, this series captures the glory and eccentricity of the men and women who live the rural life. So, what does this program have to do with royalty? Well, nothing, really. I enjoyed the documentary so I thought I would share it with all of you. 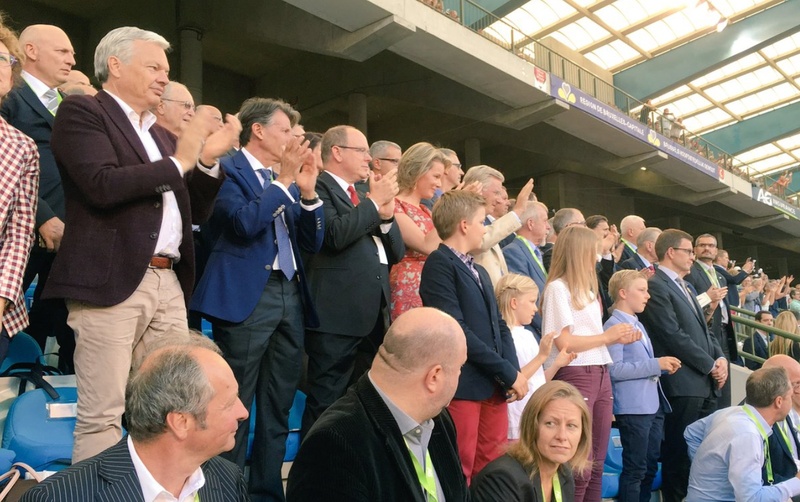 TMs King Philippe and Queen Mathilde of Belgium Attend the 40th Edition of the Memorial Van Damme. On Friday, September 9, 2016, Their Majesties King Philippe and Queen Mathilde of Belgium accompanied their children — Princess Elisabeth, Prince Gabriel, Prince Emmanuel, and Princess Elenor — and His Serene Highness Prince Albert II of Monaco attended the opening of 40th Edition of the Memorial Van Damme held at the Stade Roi Baudouin in Brussels. (VIDEO) HSH Princess Charlene of Monaco Attends the Launch of World First Aid Day. On Friday, September 9, 2016, Her Serene Highness Princess Charlene of Monaco, as the Goodwill Ambassador for the International Federation of Red Cross and Red Crescent Societies, attended the launch of World First Aid Day in Geneva, Switzerland. Held under the theme, First Aid for and by Children, today’s event aims to teach “…children everywhere to be trained in first aid, and is urging Governments and Ministries of Education to make first aid a mandatory part of school curriculums…” according to a press release. 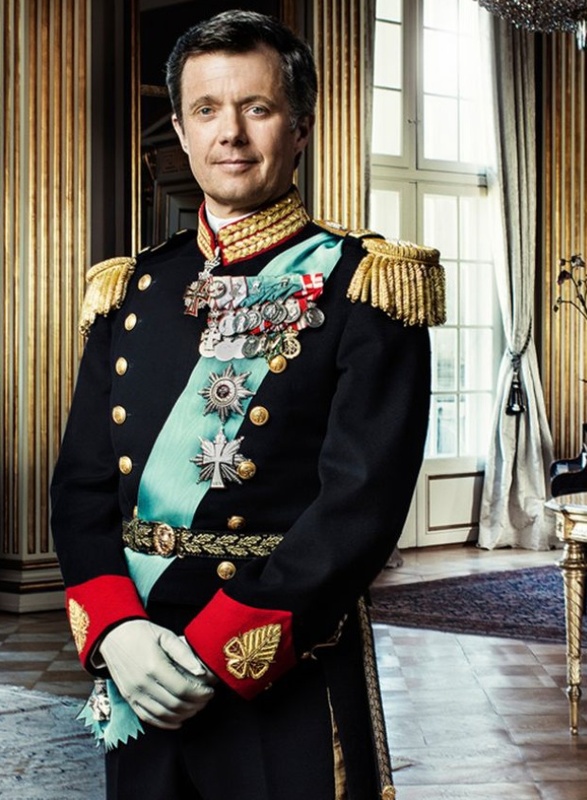 HRH Crown Prince Frederik of Denmark Visits Semco Maritime. On Thursday, September 8, 2016, His Royal Highness Crown Prince Frederik of Denmark visited the “…new headquarters of Semco Maritime at Esbjerg Brygge. The visit was part of the celebration of the 50-year jubilee for the first Danish oil and gas finds in the North Sea, which was celebrated across Esbjerg under the auspices of ‘First50’…” according to a Semco Maritime press release. For more information, in English, about yesterday’s event please click here. (VIDEO) HIH Princess Mako of Akishino Visits Paraguay. On Thursday, September 8, 2016, Her Imperial Highness Princess Mako of Akishino arrived at the Residencia Presidencial Mburuvichá Roga in Asunción, Paraguay, to met with the President of Paraguay, Mr. Horacio Cartes. The purpose of Princess Mako’s visit to lovely Paraguay was to celebrate the 80th anniversary of the Japanese immigration to the South American country. For more information about yesterday’s meeting please click here (in Spanish). (VIDEO) HRH Crown Princess Mary of Denmark Attends the Circus. On Friday, September 9, 2016, Her Royal Highness Crown Princess Mary of Denmark attended a charity circus performance, for the benefit of the Nyreforeningen (Kidney Association), held at the Bellahøj in Copenhagen. Please click here to view photos as well as to watch a brief video. HRH Crown Princess Mary of Denmark Presents Awards. 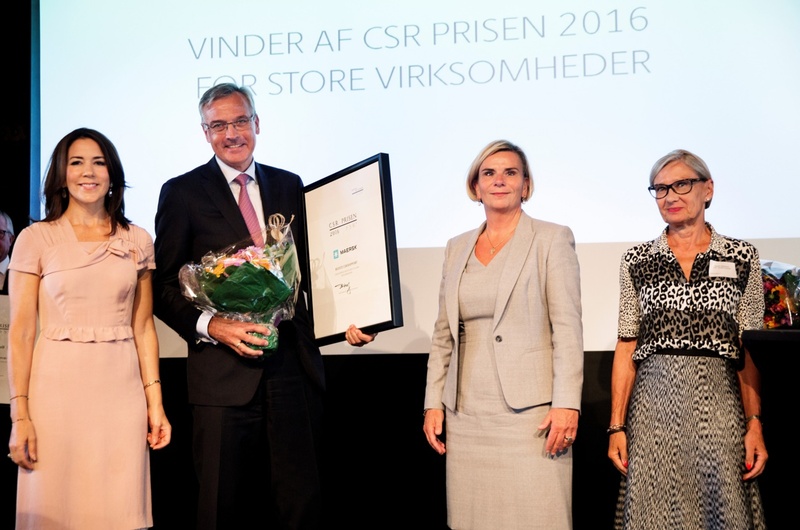 On the afternoon of Friday, September 9, 2016, Her Royal Highness Crown Princess Mary of Denmark attended the 2016 Corporate Social Responsibility (CSR) Prisen held at the Børsen in Copenhagen, Denmark. Her Majesty Queen Letizia of Spain Holds Audiences. 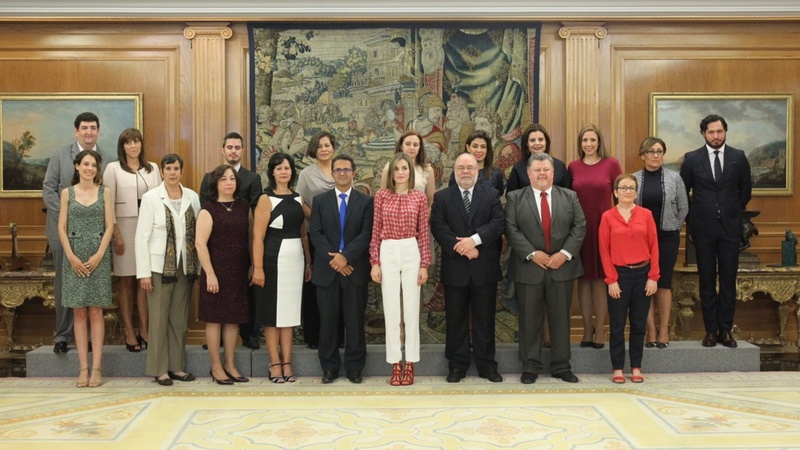 On Friday, September 9, 2016, Her Majesty Queen Letizia of Spain held audiences with representatives from the Alianza Iberoamericana de Enfermedades Raras o Poco Frecuentes (ALIBER) at Palacio de La Zarzuela in Madrid, Spain. Thereafter, Her Majesty, as Honorary President, met with members from the Consejo Ejecutivo Nacional de la Asociación Española Contra el Cáncer (AECC). (VIDEOS) Her Majesty Queen Maxima of the Netherlands Visits the Province of Zeeland. On Friday, September 9, 2016, Her Majesty Queen Maxima of the Netherlands visited the province of Zeeland in the south-west region of the Netherlands. “…innovations in the aquaculture industry in Zeeland. [The region’s] entrepreneurs, municipalities and school students show highlights Zeeland has in saline cultivation, mussel innovation, education and cultivation of fish on land. [The day began with a tour of] Delta Farms in Colijnsplaat. The sawyers – or sea centipedes – exported as a protein-rich food for shrimp. In addition, research into applications in the pharmaceutical industry, where sawyers can be used for storing and transporting organs for transplantation. To view photos from today’s visit to the province of Zeeland please click here. (VIDEO) HSH Princess Charlene of Monaco Presents Diplomas. On Thursday, September 8, 2016, Her Serene Highness Princess Charlene of Monaco presented diplomas to 23 students who completed the Institut de Formation en Soins Infirmiers (IFSI) Nurses Training program at the Centre Hospitalier Princesse Grace in Monte-Carlo, Monaco. 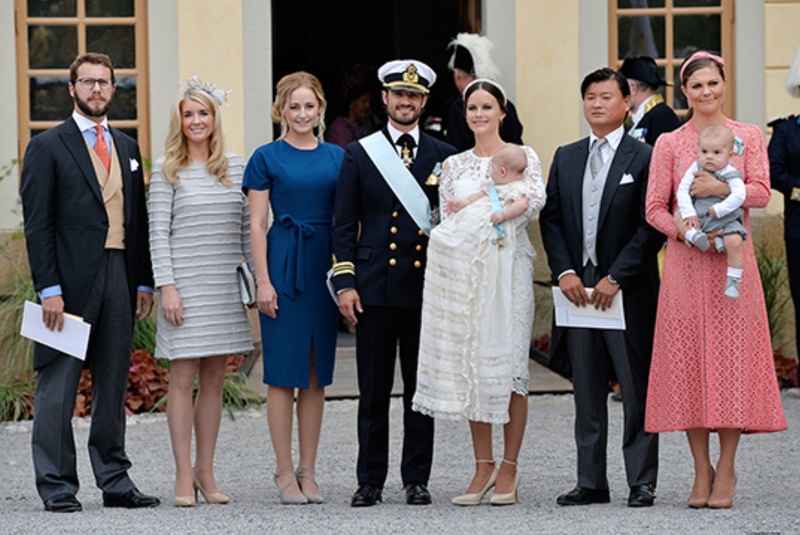 (VIDEO) The Christening of HRH Prince Alexander of Sweden. 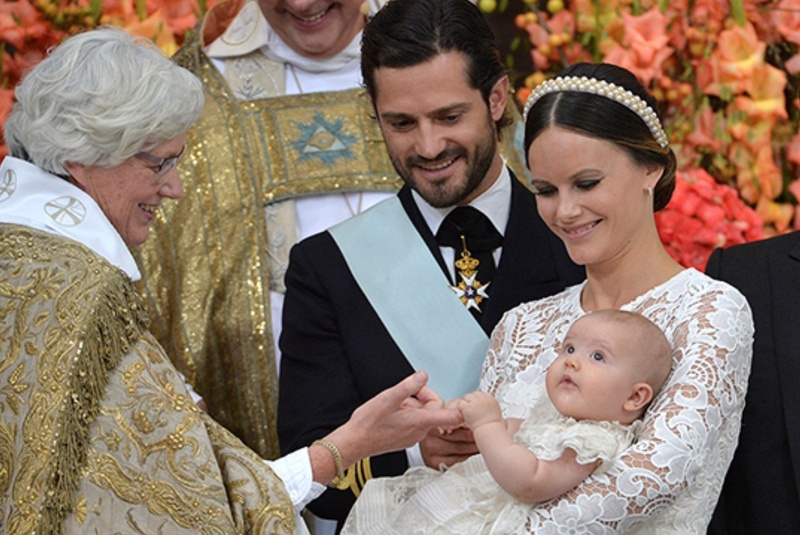 On Friday, September 9, 2016, His Royal Highness Prince Alexander Erik Hubertus Bertil, Duke of Södermanland — son Their Royal Highnesses Prince Carl Philip and Princess Sofia of Sweden — was christened at the beautiful Drottningholms Slottskyrka at Drottningholms Slott on the island of Lovön just outside of Stockholm, Sweden. According to the Swedish royal court Archbishop Antje Jackelén presided over the christening and was assisted by Chief Court Chaplain Bishop Johan Dalman and Pastor of the Royal Court Parish Michael Bjerkhagen. The godparents of the sweet little prince included Her Royal Highness Crown Princess Victoria of Sweden, Mrs. Lina Frejd, Mr. Victor Magnuson, Mr. Jan-Åke Hansson, and Miss Cajsa Larsson. Guests in attendance included Their Majesties King Carl XVI Gustaf and Queen Silvia of Sweden, Their Royal Highnesses Crown Princess Victoria and Prince Daniel of Sweden accompanied by their two children, HRH Princess Estelle and HRH Prince Oscar, Her Royal Highness Princess Madeleine of Sweden and Mr. Christopher O’Neill, accompanied by their two children HRH Princess Leonore and HRH Prince Nicolas, extended members of the Swedish royal family, Their Royal Highnesses Prince Leopold and Princess Ursula of Bavaria, Mr. and Mrs. Hellqvist, Miss Sara Hellqvist, close friends of Their Royal Highnesses Prince Carl Philip and Princess Sofia of Sweden, and of course various Swedish government officials. After the christening, Their Majesties King Carl XVI Gustaf and Queen Silvia of Sweden hosted a reception at Drottningholms Slott in honor of the little prince. Click here to watch the entire christening ceremony. Click here to watch another video as well as to view a photo gallery.